Every business owner wants to get their message out and convert it into sales. It’s how we grow our businesses, by having an effective online message and making connections with others. But when our website isn’t working as expected or users don’t know where to find the information they need, we end up in a sales slump. And that’s not very good for business. If you’re an online business owner, it pays to keep your website up-to-date and working properly. Your website is one of the biggest assets you have in your toolbox. You need someone on your team who can keep tabs on your site on a regular basis. Someone to make sure your theme doesn’t update your links incorrectly and that your blog content is bringing your readers back. I believe we can all live lives beyond our wildest dreams. Hi! 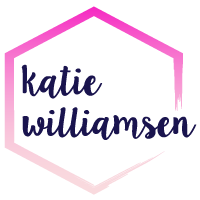 I’m Katie, a web design strategist for female creatives with big dreams. I help them find more joy and ease in the biz by creating beautiful and strategic websites.